I was sucked in from the cover. Honestly, the description only determined that it was something potentially cute. But honestly, it would have had to been a horrible plot to turn me away! 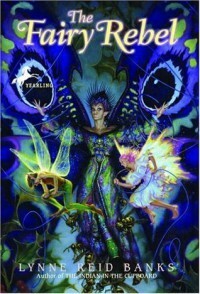 I had to read about these awesome looking fairies! Tiki was fantastic! Caring, determined and strong! She helps the human Jan to have a child and then continues to be very involved in their lives in the years to come. Yet when her queen finds out, she is in a world of trouble. Now from the summary I expected that trouble to come sooner. Each page I kept waiting for it. Well, it doesn't come until much closer to the end. That is when the story really heats up. Until then, it is honestly a bit slow. Cute, but slow. Bindi was an adorable kid, Jan and her husband was just randomly there with no personality. 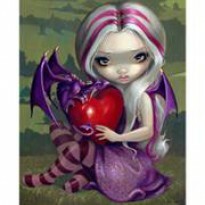 But the fairies-they are another story, full of life and personality and silly quirks! This is perfect for tweens readers. Lynne Reid Banks continues to impress me with her unique creative worlds. This book is no exception.